Not all carpet cleaning companies are the same on the market. Some of them will promise you excellent results for a lower price, but they often fail to deliver. 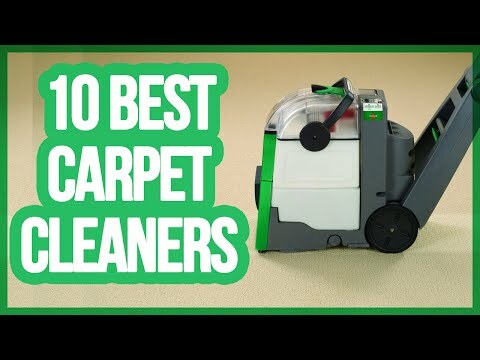 If you have a home full of high – quality carpets, then you should think carefully before you hire a cleaning company, especially when your offer you a low price. That’s why we have prepared a couple of tips which can help you to choose the cleaning service which will meet your needs. So, check out our recommendations below. When you are selecting the cleaning services, make sure to ask what kind of accreditation their technicians have. If they are professionals, then their personnel should hold the carpet cleaning technician certification approved by the Institute of Inspection, Cleaning and Restoration Certification. This is the most reputable training school for cleaning and restoration. Of course, they can have other certificates; it will be a nice addition which will prove they are a trustworthy and reputable company. When you have an initial meeting, ask them to show you their credentials and tell you more about them. Even though credentials are an essential part of an evaluation process, but knowledge also comes with the experience. For example, you can inquire and see how long they have been on the market and how many customers they had so far. This will help you determine whether they are popular in this industry and whether people request their services. You can also check the search engine of various social media to read the reviews about their company. In addition to this, you can even ask your friends and family if they used their services in the past. Keep in mind that one or two bad reviews doesn’t have to mean anything, but if their rating is higher than 20%, then you should skip them. Do they have a license and provide insurance? In many larger cities, small carpet cleaning companies come and go very fast. When you are calling the company to ask about their service, you can also inquire about their license. Ask them whether they are licensed in the state you live. In this case, you can always use a local government website to check the carpet cleaning services in your area. A reputable company should also provide workmen’s compensation insurance. It would be a good idea to ask whether the company runs a background check on their employees. In most cases, the cost determines the quality of services. But, a lot of people are looking for the ways to hire a cheaper service, and this is the biggest mistake. Typically, you will get what you paid for, and price should never be the main reason why you are hiring some carpet cleaning service. It better to pay a higher price, then to have all your carpets ruined. A professional cleaning service that values its clients will offer your fair prices.